The edwardian double hipped conservatory strikes the perfect balance between style and a seamless fit with your home. Rather than having a flat face connecting to the property wall, a double-hipped conservatory has a pitched roof on both sides. Unlike windows where keeping heat in is usually the priority, with conservatories, solar gain is normally undesirable so we usually fit units that stop heat passing in either direction. The suns heat stays out in summer while precious indoor heat stays in during winter. Building work of any kind can be a daunting process. Custom Glaze is the hassle-free way to achieve the conservatory you want. We will manage your project and keep you informed at every stage, providing a seamless process from your original enquiry, through to final installation and certification. It is not usually necessary to obtain planning permission for a double-hipped conservatory. 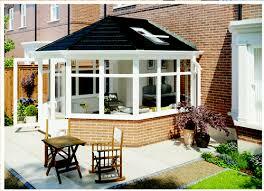 A double-hipped conservatory can increase the value of your property. Once built, your new double-hipped conservatory is a great new living space to be used all year round. 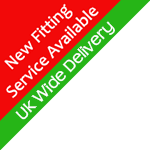 A Edwardian double-hipped conservatory is designed solely for you and to your specific requirements. This entry was posted on Monday, November 21st, 2016 at 5:50 am	and is filed under Conservatories UK - Home Improvement. You can follow any responses to this entry through the RSS 2.0 feed. You can leave a response, or trackback from your own site.